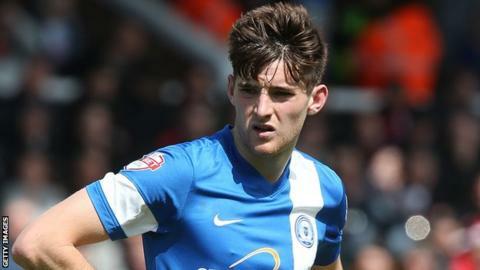 Peterborough boss Dave Robertson says injured defender Jack Baldwin is "well ahead of schedule" and will return to first-team training in two weeks. The 22-year-old has not played since rupturing his anterior cruciate ligament in November 2014. He will return to first-team non-contact training before going back to full training two to three weeks later. "He's worked his socks off and his fitness is very high," Robertson told BBC Radio Cambridgeshire. "He'll go through a pre-season in terms of work with the ball. We'll ease him into reserve games so when he does return he's at full match fitness." Baldwin has been working throughout pre-season away from the rest of the squad, and he says it has been difficult watching on from the sidelines and that it will be good to "feel like a footballer again". "It's definitely the hardest part of my career so far," he said. "Looking back it's gone quickly, but going through each stage it felt like a lifetime, but now fingers crossed nothing will happen like that again."